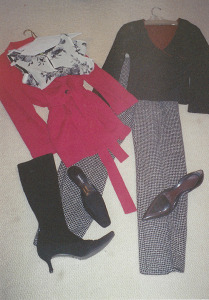 My friend, Jen Sorge, a brilliant wardrobe consultant, ventured into my closet eight years ago (brave girl). I gave her one mission – hip me up. I had just launched my digital marketing consultancy and my wardrobe was in dire need of a makeover. Sounds simple enough, doesn’t it? Not when a majority of your wardrobe consists of jeans, workout clothes, hiking boots and the occasional corporate blazer. 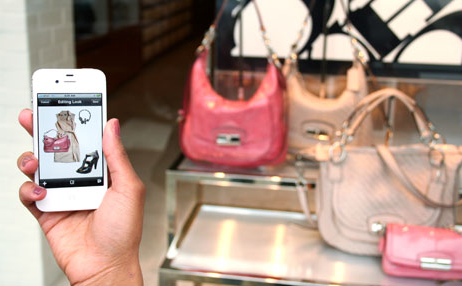 In 2014, the fashion industry, led by the iconic British brand, Burberry, has fully embraced technology. In fact, fashion designers and retailers are leading many industries in crafting unique experiences for consumers. From live “shop the runway” events to my favorite new mobile app, Stylebook, technology is changing the way we shop, dress and even re-sell our clothes. 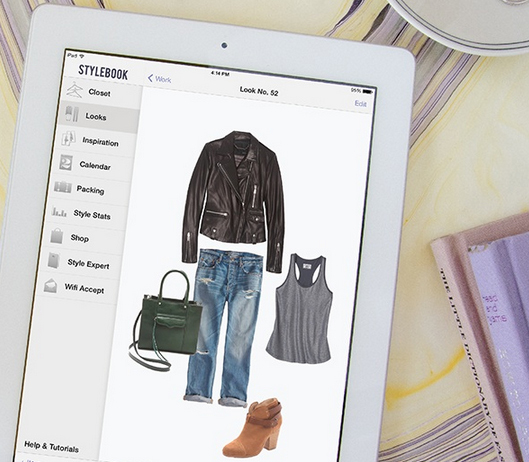 Stylebook promises to “bring your closet to life” (and not a moment to soon for this girl). The Stylebook team thought of every angle to help women (and men…there is an app for you too) gain skills and ideas. What is @ the heart of Stylebook? Confidence. In that angst-filled moment when I open the closet door, give it my best blank stare and think “Ugh, what to wear?”, Stylebook talks me off the ledge. Thanx for the Stylebook tip! I often wonder when I travel to other offices “Was I wearing this exact outfit when I was here a month ago?” All those biz trips blur after a few weeks. An easy way to track outfits on a calendar–good solution. Happy that you’ve discovered Stylebook! It takes a few hours to get your wardrobe photographed, so I started small. Am planning to add content a little bit at a time. Downloaded and LOVE! Thanks for the tip, Denise! Thanks Amy J! Happy that you enjoyed my post and are loving the app! When you lose the blue dot, life happens.